The conference will be hosted by the University of Ottawa, in Canada’s picturesque capital city of Ottawa, from Thursday, October 27 through Saturday October 29 2016. The 2016 theme will be “Interdisciplinary Approaches to Health, Wellness and Sustainability”. We will consider health in a very broad sense: in persons, in education, in communities, in ecosystems, in society and the body politic. Members of the academy, practitioners, and the broader public are invited to participate in dialogue and exchange ideas about how interdisciplinary studies can play a pivotal role in advancing and expanding notions of health, wellness and sustainability, and also to highlight interdisciplinary partnerships between the academy and communities that can serve as models for change. Presentations on a wide range of activities related to interdisciplinary education and research will be considered as well. Health is one of uOttawa’s four Strategic Areas of Development in Research. The University’s commitment to interdisciplinarity is reflected by development of several interdisciplinary academic programs at the undergraduate (e.g., Bachelor of Health Sciences) and graduate levels (e.g., MSc Interdisciplinary Health Sciences, MA/PhD Women’s Studies (collaborative), PhD Population Health, PhD Canadian Studies, MA Globalization and International Development, PhD International Development). The University of Ottawa is a public, bilingual university with an enrollment of 35,700 undergraduate students and over 6000 graduate students. It has faculties of arts, science, social sciences, education, engineering, health sciences, medicine, law (common and civil) and management. UOttawa is a mostly urban University with a main campus quite close to the center of Ottawa, Ontario, the capital city of Canada. With approximately 900,000 residents, Ottawa is a small and easily navigated city. But because it is a capital city, it offers a rich historical and cultural setting. Canada’s National Art Gallery, Museum of Civilization, or Museum of War, and Museum of Nature are all nearby. There is also lots of green space in the city and across the Ottawa River in the Gatineau hills of Québec. October is a nice time to visit Ottawa, as trees will be taking on their “fall colors” and the weather will likely be crisp but not too cold yet. Average temperatures for Ottawa in October are as follows: 37 / 57°F, (4 / 14°C). For further information, please contact ais2016@uOttawa.ca. The AIS2016 Detailed Conference Program is now available here! Jennifer (Jenny) Sasser is an educational gerontologist, transdisciplinary scholar, and community activist. A nationally recognized expert in the interdisciplinary study of aging, her work has explored creativity, embodiment, critical gerontological theory, transformational learning, and cross-generational collaborative inquiry. She has served as President of the Oregon Gerontological Association and for many years as the Chair of the Department of Human Sciences and Director of the Gerontology Program at Marylhurst University. 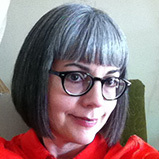 Jenny is co-author of Aging: Concepts and controversies (Sage), now in its 8th edition and is currently working on Gerontology: The Basics (a forthcoming book from Routledge, U.K), She is also convenes the Gero-Punk Project and offers consulting, workshops and presentations throughout North America. Chantelle Anne Marie Richmond is an Anishinabe scholar at Western University where she holds a CIHR New Investigator, and an Ontario Early Researcher Award, both to support her research on the geographies of Aboriginal health. Dr. Richmond’s research is framed by community-based approaches that aim to understand the multifaceted relationship between health and environment in the Indigenous context. In 2015, Dr. Richmond was awarded the Julian M. Szeicz Award from the Canadian Association of Geographers, in recognition for her early research excellence. Also in 2015, Dr. Richmond was inducted to the Royal Society of Canada’s College of New Scholars. David Pantalony will present a hands-on “Reading Artifacts” workshop, making use of his experiences with medical and science instruments in museums across the world. Dr. Pantalony is the Curator of Physical Sciences and Medicine at the Canada Science and Technology Museum. He holds a PhD in the history of science, and teaches a material culture seminar at the University of Ottawa using the CSTM collection. A specialist in the history of scientific instruments, he is currently working on a medical exhibition at the Museum. Meetings (keynotes, lunches and breakout sessions) will take place in the University of Ottawa’s Desmarais building, a state-of-the-art learning facility located in the heart of downtown Ottawa. Most networking and reception events will take place on the 12th floor, which offers excellent views of the surrounding area. Map of various facilities on campus, including ATMs, parking, on-campus restaurants, emergency phones, transportation, and more. Map of construction areas on the University of Ottawa campus. Several thematic maps of the University of Ottawa campus, including distinct maps for Accessibility, Parking, and Info Kiosks. Interactive online map that includes up-to-date traffic conditions, traffic incidents, construction, and city-owned parking. Since the City of Ottawa is constructing a new underground railway system, road closures and detours will be important information. This website that lists road closures for specified dates. Note: Downtown Ottawa includes Wards 14 and 12. This website includes information on when and how to pay for parking along with parking regulations. Information on parking regulations for large vehicles (busses, etc.). Includes map of areas to park large vehicles and how to purchase a 24-hour tour bus parking permit. Tickets cost $1.65 each, and can be purchase at several locations, including the Rideau Centre and City Hall. Plan your trip using the OC Transpo Travel Planneronline tool. OC Transpo offers express busses at rush hour, which require an increased fare. These are not required to travel within downtown Ottawa. The Government of Canada’s official website on travelling to Canada. Includes rules and regulations for foreign nationals visiting Canada. Find out what you need to visit Canada as a tourist or on business, and what documents you need to carry with you to transit through Canada. Note: Visa-exempt foreign nationals who fly to or transit through Canada are expected to have an Electronic Travel Authorization (eTA) to enter Canada. Exemptions include U.S. Citizens and travellers with a valid Canadian visa. Ottawa’s official tourism information website. Includes information on sightseeing, events, and dining, as well as several useful maps of attractions, shopping and restaurants. The website also includes a list of free attractions and activities (hint: several museums offer free admission on Thursday evenings). Lists user-rated and reviewed attractions in Ottawa. We have arranged special rates with 2 hotels that are an 8-10 minute walk from the venue. Both hotels agreed to extend the special rate for 2-3 days prior to and after the conference. Currently, no shuttle service is offered by the hotels. 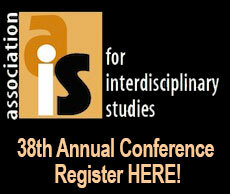 Please mention AIS or Association for Interdisciplinary Studies in order to get the negotiated rates. They have reserved 20 rooms for Wednesday and 50 rooms from Thursday to Saturday. CAN $120 for a bachelor room that also has a pullout couch for double occupancy. CAN $130 for a bachelor room with two beds. They have reserved 10 rooms for Wednesday and 35 rooms from Thursday to Saturday. CAN $145 for 3 or 4 person rooms. Note: This hotel is farther from the University of Ottawa than the others; however, it is along a major bus route (3-5 minute bus ride). Ottawa is located in Ontario, in the Southern East/Central part of Canada, and has direct flights to a large number of US cities, as well as many European cities. By car, it is only two hours from Northwestern New York State. There is convenient public transit within the city, including regular buses from the airport to the University and downtown core. See the uOttawa Campus map and click for directions. The AIS2016 Detailed Conference Program is available here! *Network space and poster viewing are available throughout conference in Room 12102. Please note that the fees below are in Canadian dollars. The price is US dollars or Euros, for example, may be considerably less. * No more than two persons from an institution with an AIS institutional membership may register at the member rate; all others from the same institution, if not individual members, must pay the non-member rate. Karen Moranski and Scott Crabill. University of Illinois at Springfield, Illinois. USA. This interactive workshop provides an opportunity to learn the tools and techniques of interdisciplinary pedagogy. Participants will define terms, contextualize goals, and learn best practices in interdisciplinary syllabus and assignment development, assessment techniques, and research methods. Expert Rick Szostak will deepen participants' understanding of interdisciplinary theory in relationship to pedagogy. Marcus Tanner and Khadijah O. Miller. Texas Tech University, Texas. USA. Teaching and learning in an online environment is the new normal for many institutions of higher education. Ninety‐six percent of traditional brick and mortar institutions offer some kind of online coursework. Having the ability to adapt to innovations in online teaching and learning is becoming increasingly important. Using best practices for teaching online may be beneficial for some interdisciplinary programs, especially for maximizing often limited resources. This pre‐conference workshop will focus on best practices for online teaching and learning in an interdisciplinary context. Some features of the workshop include; tips for new online faculty, quality online content, designing a syllabus for the digital environment, and tools for teaching interdisciplinary courses online. Please note that the fees below are in Canadian dollars. The price is US dollars or Euros, for example, may be considerably less. See the Bank of Canada for today's exchange rates. The role of presenter is to present his/her poster and to answer any questions of interest during the designated poster session. The poster must be installed by Thursday October 27 at 1:00 PM and removed by Saturday, October 29 at 6:00 PM. Please note that AIS 2016 conference committee cannot be responsible for the return of forgotten posters or other materials. For poster presenters who prefer to travel without their posters, you may pre-arrange to send your poster file for printing at the DocuCentre, situated in the main campus of the University of Ottawa. The DocuCentre service offers printing for handouts and posters of varying sizes, formats, and colours based on a PowerPoint template. Poster presenters must make their own arrangements with DocuCentre, University of Ottawa. Note DocuCentre is generally busy during September and October please allow for suitable printing times. Please see the DocuCentre website for further information. Please Note: AIS 2016 conference committee is not responsible for such arrangements, printing fees or issues with DocuCentre. Presenters are scheduled in groups of three (3) for each 75 min block. Speakers should aim for 17-20 minutes with up to 5 minutes for questions and discussion (a total of 25 minutes per presenter) moderated by a session chair. Rooms are equipped with a projector, computer, DVD players and internet. Please bring your presention on a flash drive or laptop to connect to the audiovisual system in advance of your session. Presenters are encouraged to be respectful of the time limits and the moderator chairing the session. Panel discussions have been organized as 75 minute session blocks. Panel groups are expected to organize their time to ensure that all speakers have an opportunity to present, discuss and answer questions from the audience. Presenters are encouraged to be respectful of the time limits. Rooms are equipped with a projector, computer, DVD player and internet. Please bring your presention on a flash drive or laptop to connect to the audiovisual system in advance of your session. If you are planning to use your MAC computer, the presenter must bring his/her own adaptor. Workshops have been organized as 75 minutes session blocks. Rooms are equipped with a projector, computer, DVD player and internet. Please bring your presention on a flash drive or laptop to connect to the audiovisual system in advance of your session. Workshop presenters are expected to organize their time to ensure adequate time to present, discuss, engage and answer questions from the participants. Presenters are encouraged to be respectful of the time limits.